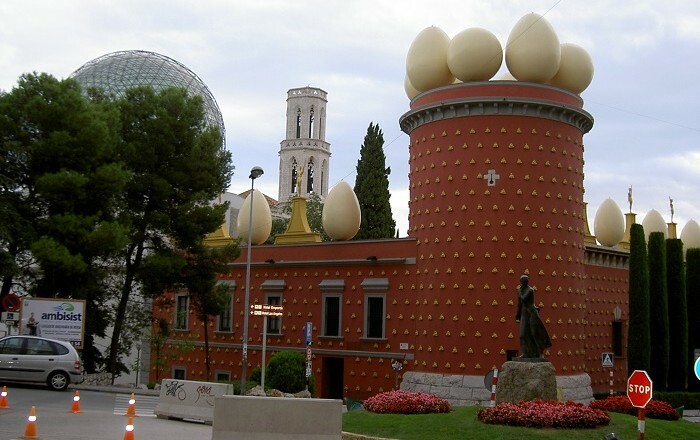 Torre Galatea, also known as Torre Gorgot, is a unique building that serves as a museum and also the burial place of the prominent Spanish surrealist painter Salvador Dalí, located in the city of Figueres, in the autonomous community of Catalonia, within the Kingdom of Spain. 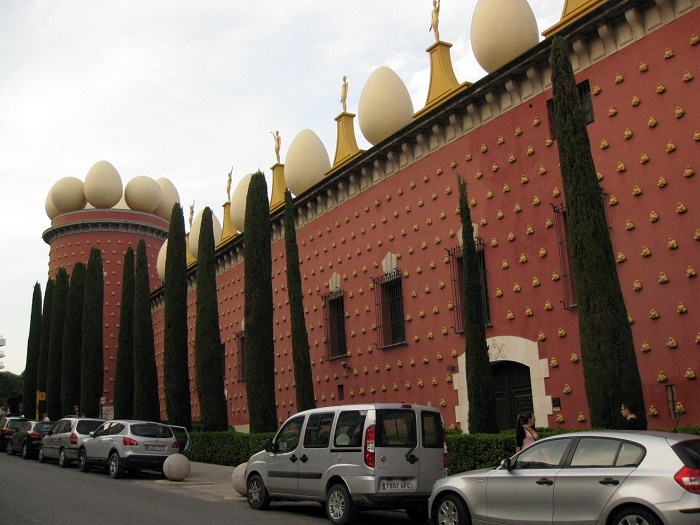 At the beginning the building was part of the wall that enclosed the city of Figueres, which after that was transformed into a reservoir for the municipal water. 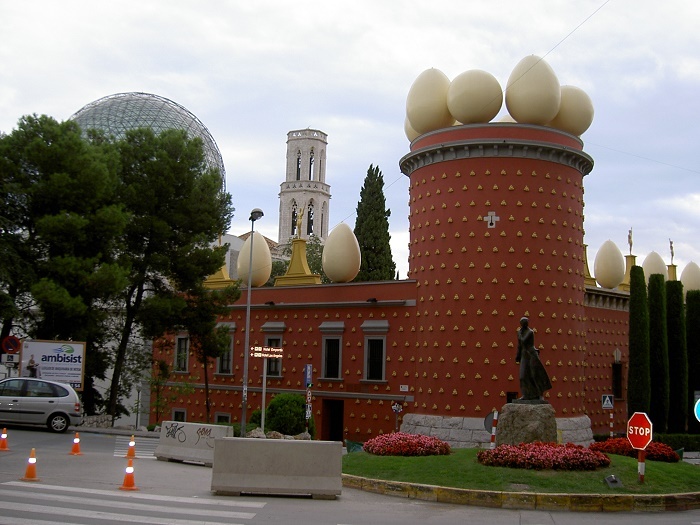 The tower in 19th century collected the water from the castle and then redistributed it all around the city, which is considered to be the first network of running water in Figueres. 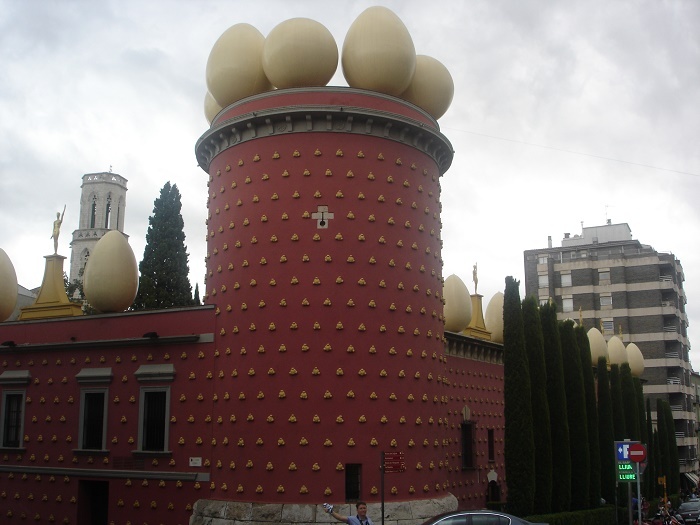 Finally the building became what we see with the restoration that occurred in 1931 by a French architect, who made the walls to be thinner, making them only 80 cm (31 inches), and in 1983 the City Council acquired the tower, so that it would be joined with the Dalí Museum which was located next to the tower. 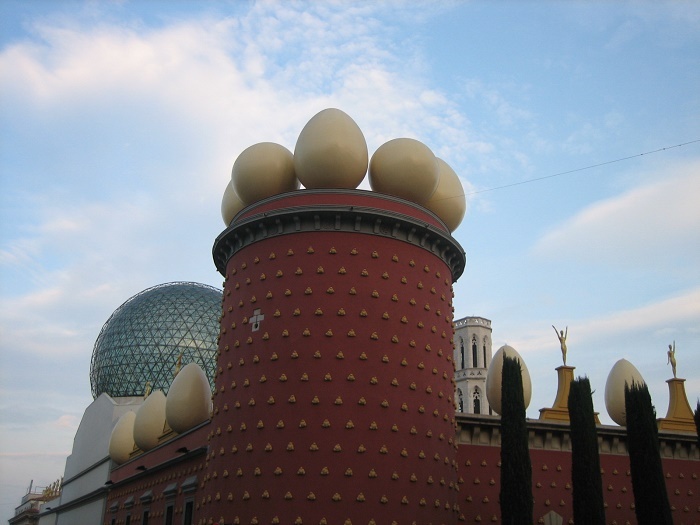 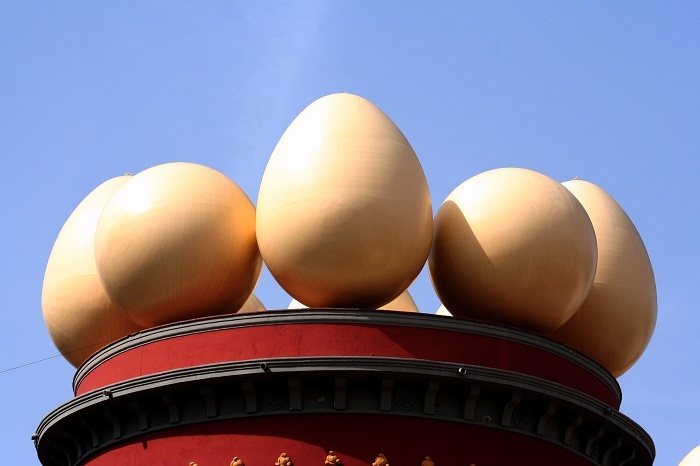 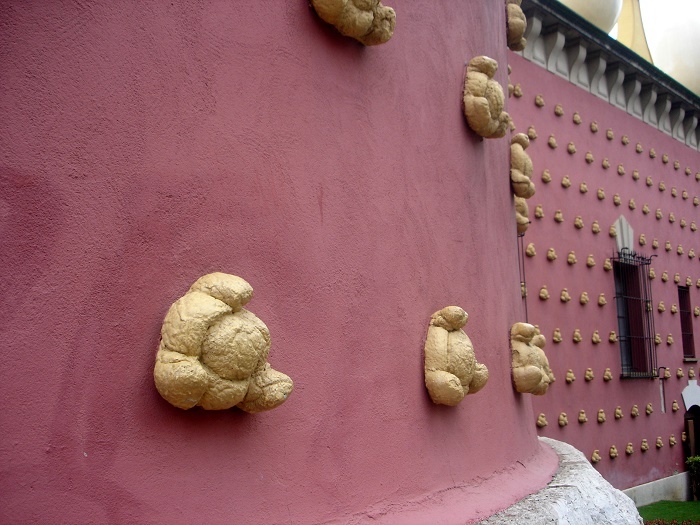 Interestingly, the theater which has a geodesic dome is one of the most important buildings in Figueres, and in addition, Dalí himself transformed the appearance of the tower with striking color, adding breads on the walls and giant eggs atop the tower together with the walls. 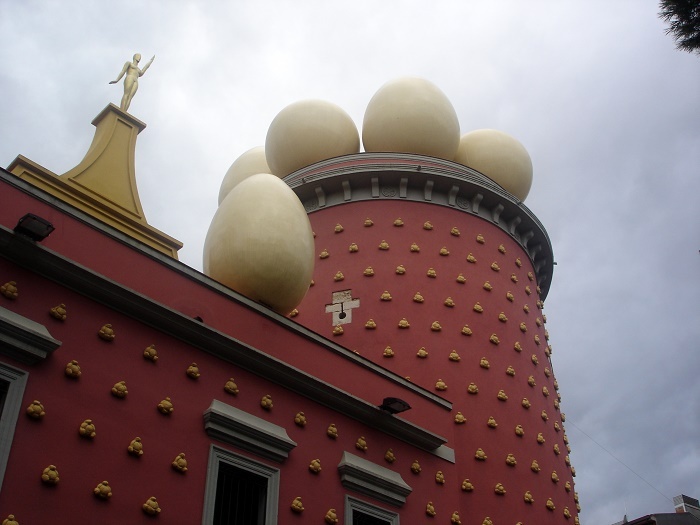 He is also the one that renamed the tower to Torre Galatea, on honor of his deceased wife who has been his inspiration and muse. 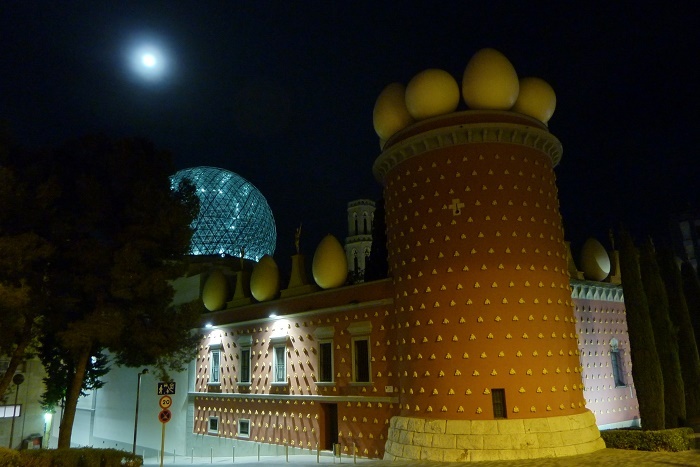 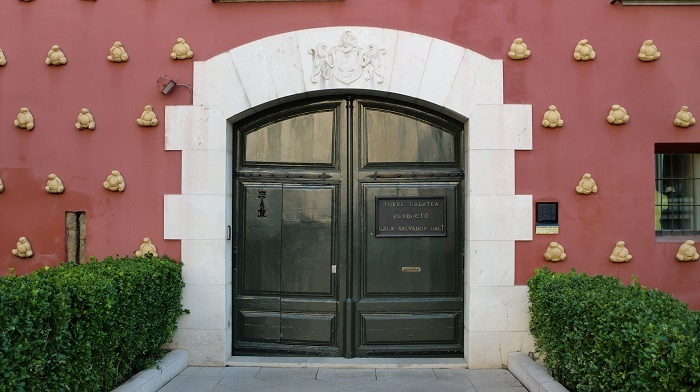 Nowadays, being one of the most important structures in the city, plenty of people come to see the Dalí Theater and Museum, which in fact attracts plenty of people who are seeing too the Torre Galatea.